Sri Lanka is rapidly climbing the ranks when it comes to top exotic travel destinations, and it’s easy to see why. Nestled in the Indian Ocean off the south coast of India, this enchanting island is home to a range of diverse landscapes and scenery to explore. From beautiful beaches to tropical jungles and rainforests, Sri Lanka has something for every traveller. Sri Lanka is famous for its tea plantations, which grow a huge amount of Ceylon tea. Take in the lush green tea leaves which provide a beautiful backdrop and sample the fine drink. Combine an educational tea visit with a hike at Ella Rock, which offers incredible views. One of the most amazing experiences when travelling is sampling the local cuisine. Sri Lankan cuisine is influenced by India yet has its own distinctive flavours and textures. Why not go on a culinary journey by learning to cook tasty Sri Lankan dishes in a local’s kitchen, rather than just trying it at a restaurant. Take home your new cooking skills and enjoy the local fare for years to come. You can learn to cook like a local in Galle, by preparing and eat a mouth-watering home cooked meal. Poya days in Sri Lanka are days of the full moon, but don’t get them mistaken for the wild full moon parties of Thailand. The Buddhist festivals are celebrated with parades in the streets including vibrant dancers and musicians. The lunar calendar changes each year so have a look at the dates and see if you can plan your trip around a poya day. Sri Lanka has some of the most diverse wildlife in Asia, so seeing wild animals in their natural habitat is a must while on the island. 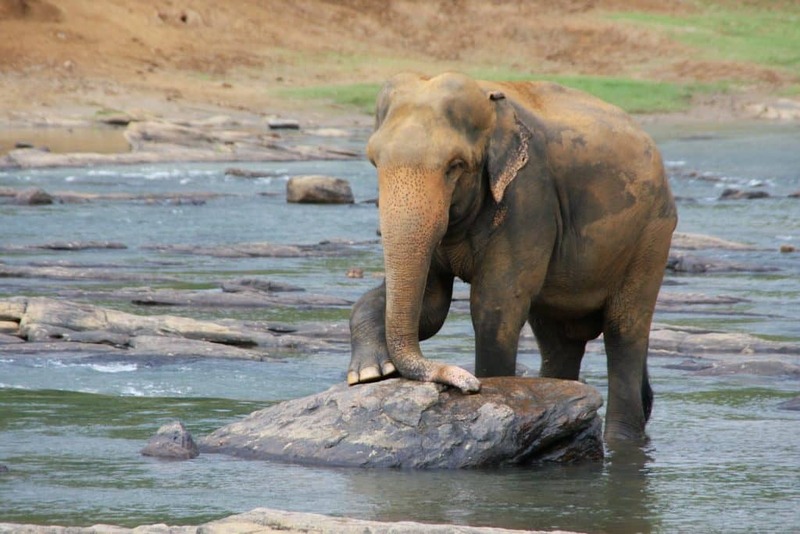 Take part in traditional safaris in Yala National Park where you’ll spot elephants, leopards, sloth bears and buffalo. In the waters surrounding Sri Lanka you can also go dolphin watching or dive with blue whales. See the real Sri Lanka by finding out about local experiences which aren’t in the guide books.